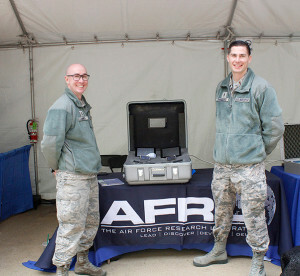 Air Force Research Laboratory scientist 1st Lt Simeon Hanks on the left and 2nd Lt. Parker Van Sickle at a directed energy technology exhibit shown in front of their high power microwave display. Though he grew up in various places along the West coast, Hanks calls himself from Redding, Calif., where he moved when he was about 11. Hanks says the Army gave him the opportunity to escape poverty and serve his country. He could see no other possible path forward. It also provided him stability and the first regular meals he could remember. His first job in the Army was as a helicopter computer technician. Hanks said this training was used in his deployment to Iraq in 2003 where he and a small group of soldiers kept a fleet of Kiowa Warrior (OH-58D) helicopters flying, often improvising or re-using broken components to make necessary repairs. 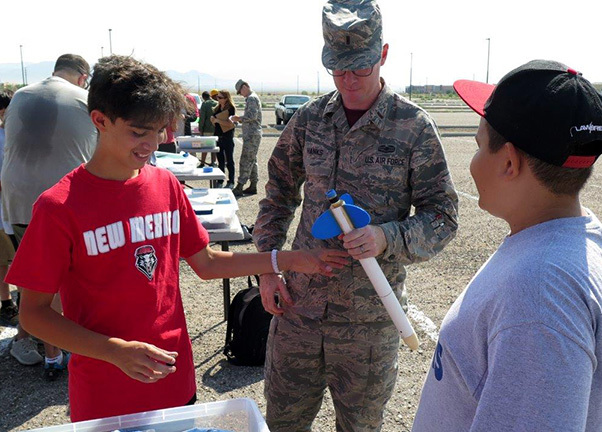 Air Force Research Laboratory scientist 1st Lt. Simeon Hanks at the AFRL STEM Outreach rocket launch event in which he mentored students on building and launching their rockets. 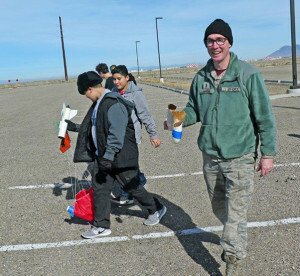 After nine years, Hanks did get out of the Army to pursue his education. He received a Bachelor of Science degree in physics from Augusta University in Georgia in 2014. 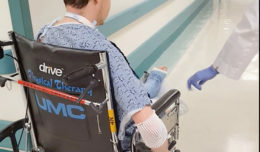 He followed this by attending Concordia University in Montreal, Quebec, Canada where he was admitted for a Ph.D. based on a journal article publication and winning an international research presentation. 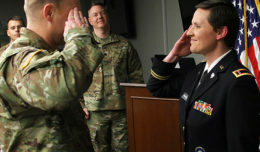 Rather than completing the Ph.D. program, Hanks joined the U.S. Air Force and was commissioned as a second lieutenant through the Officer Training School in 2016. He is now assigned to the Air Force Research Laboratory Directed Energy Directorate located at Kirtland Air Force Base. 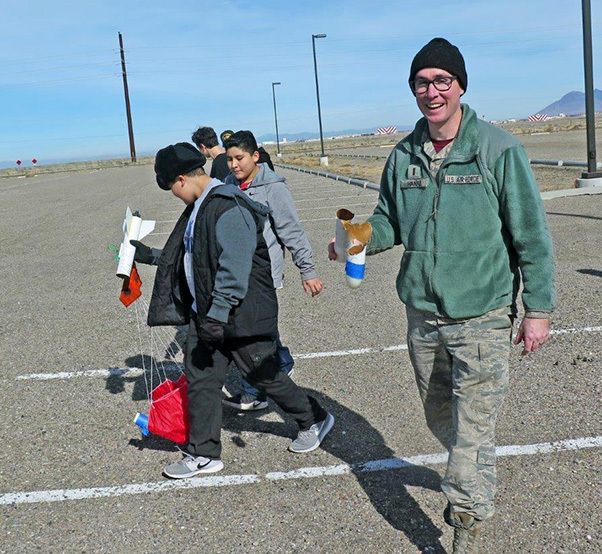 In addition to his job and STEM outreach, Hanks spent a year as the officer-in-charge of the Kirtland Honor Guard Alpha Flight where he and his team worked every fourth week fulltime to include most weekends in fulfilling honors to our nation’s service members. Air Force Research Laboratory scientist 1st Lt. Simeon Hanks through the AFRL STEM Outreach program mentors students getting ready for the Team America Rocket Competition.